How many people actually really know the horse as he is? This is the more important question. A lot of people think that in nature horses are reactive animals, always in an emotive inner state, searching for their leader to have guidance. False. Horses become highly reactive/emotive due to human breeding, management and activities. 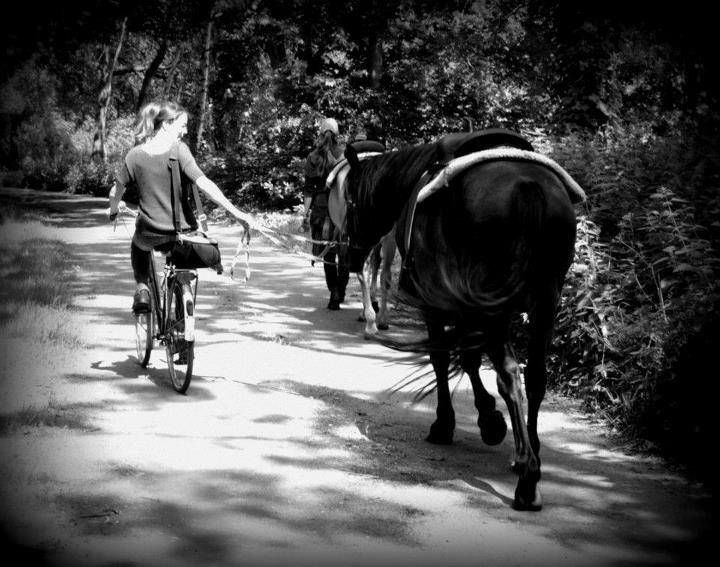 In nature horses are cognitive/emotional animals. They are thinking animals. Each their own balanced individual, capable of belonging to something bigger as a herd. But what does cognition really mean? Cognition usually refers to the cognitive mechanisms involved in learning, memory, perception, decision-making and other. Cognitive ethology starts from the animal as sentient being. In the same way, the zooanthropological philosophy starts from considering animal as dialogical subject and not as passive object. 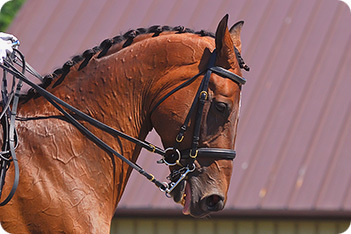 Equitation, modern or classical, more or less “natural”, using negative or positive reinforcement, has always seen the horse as a machine incapable of thinking. An object to condition and to control, this way depriving this animal of its natural cognitive abilities. This is mainly due to the early history of western philosophy that reflects a tendency to see animals as living being with lacking rationality. Aristotle defined “human” as “the rational animal”, thus rejecting the possibility that any other species is rational (Aristotle Metaphysics). Aquinas believed that animals are irrational because they are not free (Aquinas Summa Theologica). Centuries later, Descartes defended his distinction between humans and animals based on the belief that language is a necessary condition for mind; on his view animals are soulless machines (Descartes Discourse on the Method). Locke agreed that animals cannot think, because words are necessary for comprehending universals (Locke Essay Concerning Human Understanding). Following in this tradition, Kant concluded that since they cannot think about themselves, animals are not rational agents and hence they only have instrumental value (Kant Lectures on Ethics). The question of animal rationality is related to a number of different questions about animals, including whether they engage in action, wether they have intend, or intentionality. Views about animal rationality can also have consequences for views about animal autonomy and moral status (Andrews, 2011). Horse cognition research began collecting the first data in recent years; mixed with equine zooanthropology pushed with vigor into a new light, not only from the scientific point of view, but also from a cultural and ethical (De Giorgio, 2010; De Giorgio, Schoorl, 2012). For example, under feral or semi-feral situation, in familiar group, horses seem to have important cognitive skills during social exploration of novel objects, expressed with specific behaviours and caratheristics. The first data analysis about our recent observations, seem to indicate a difference in permanent and non-permanent groups, during investigative processes of novel objects. The results show that group-stability, in which individuals take each other into account to avoid tension, offers a better exploratory process and thus a better cognitive experience (De Giorgio et al., 2012, sent to ASAB Winter Meeting titled “Cognition in the Wild” and to the Dutch Society of Behavioural Biology Annual Meeting). Social cognitive abilities in horses are even more interesting when applied to the horse-human relationship. 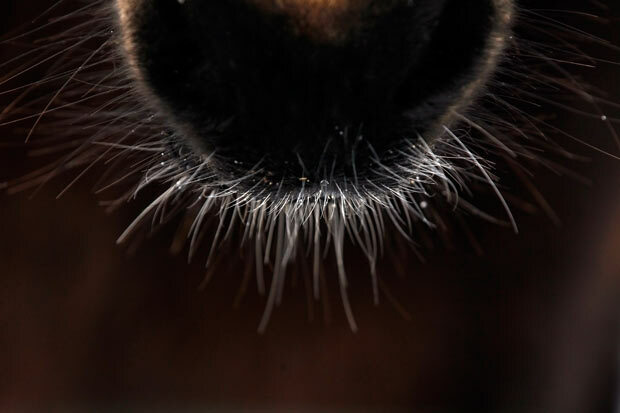 There is indeed evidence that horses detect human cues and attentional states (Krueger et al. 2011). 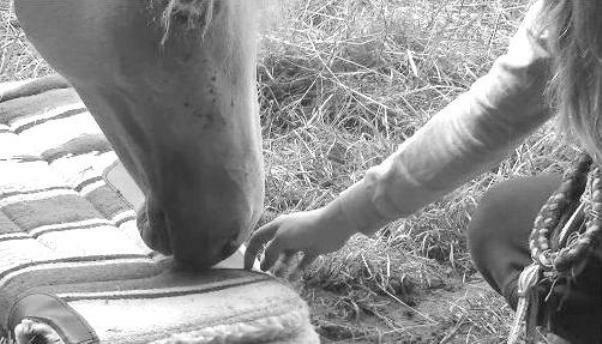 Only when you give to the horses the space, the context and the time to create their own experience, their own learning, their own sharing, focussing our own (human) intentions on their quality of life, only then will you see the horse as he is. In the equine zooanthropological approach we don’t stimulate cognition, but we preserve innate cognitive abilities. We preserve the horse as he is. As Gabriele Bono stressed in the preface of Proceedings about Italian Society of Veterinary Physiology Meeting 2012, looking at the cognitive abilities of animals should be a good occasion to face anthrozoology challenges beyond animal welfare, into animal quality of life. Born in 1965 in Italy, Francesco De Giorgio is a forward thinker about animal ethics as well as a biologist, ethologist and applied behavioural researcher. Francesco is member of the Ethics Commitee of ISAE (International Society of Applied Ethology), specialized in equine and canine ethology. He is also founder, developer and facilitator at the Learning Animals | International Institute for Zooanthropology, where he focuses principally on the study of animal-human interaction, ethics, animal personal growth and rehabilitation. 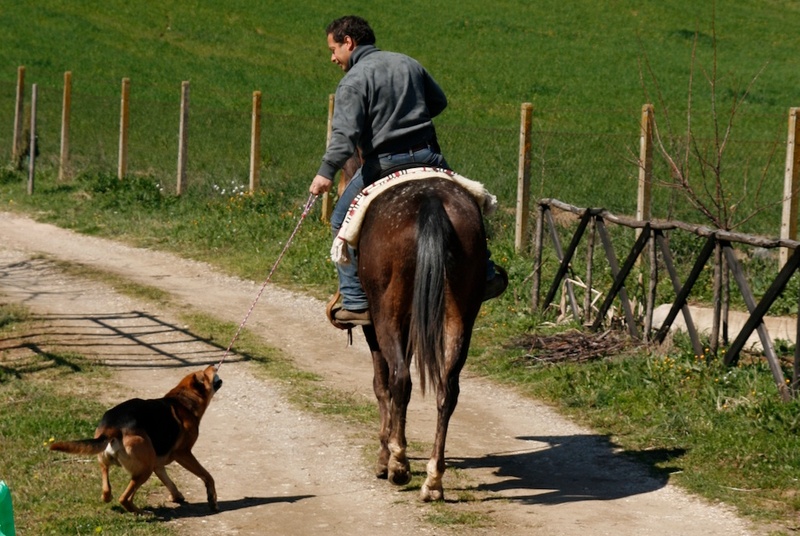 An expert in equine and canine welfare, Francesco provides expert support for institutions occupied with animal Health and Welfare (e.g. in equine mistreatment cases), has served on a number of ethics committees, and acts as an advisor to courts, police and equine rehabilitation centres, in animal abuse cases and rehabilitations post-abuse. Much sought-after as both a speaker and lecturer, Francesco speaks regularly on ‘Cognitive Ethology in the Animal-Human Relationship’. He also lectures at several universities and has presented to numerous conferences and symposia on ethology, cognition and zooanthropology and published the books “Horse- Human dictionary” (in italian) and “The Cognitive Horse” (in english and italian). Aquinas, S. T. Summa Theologica. Grand Rapids, Christian Classics, 1981. Aristotle. The Metaphysics. New York, Penguin Classics, 1999. Bono G. Looking at animal cognitive abilities allow us to face Anthrozoology challenges. Proceedings Italian Society of Veterinary Physiology Meeting (So.Fi.Vet. ), 2012. Descartes, R. A Discourse on the Method. Oxford, Oxford University Press, 2006. Kant, I. “Duties to Animals and Spirits.” Lectures on Ethics. L. Infield. New York, Harper and Row, 1963: 239–241. What have you (human) done for me lately? Memory is an important aspect of cognition. It is involved in the collection, retention and use of information about an animal’s environment (Shettleworth 1998). Although numerous studies have focused on the importance of memory accuracy in various species (see Squire 1992, Sherry 2006 for review), relatively few and also more recently have explicitly examined the longevity of such memories. 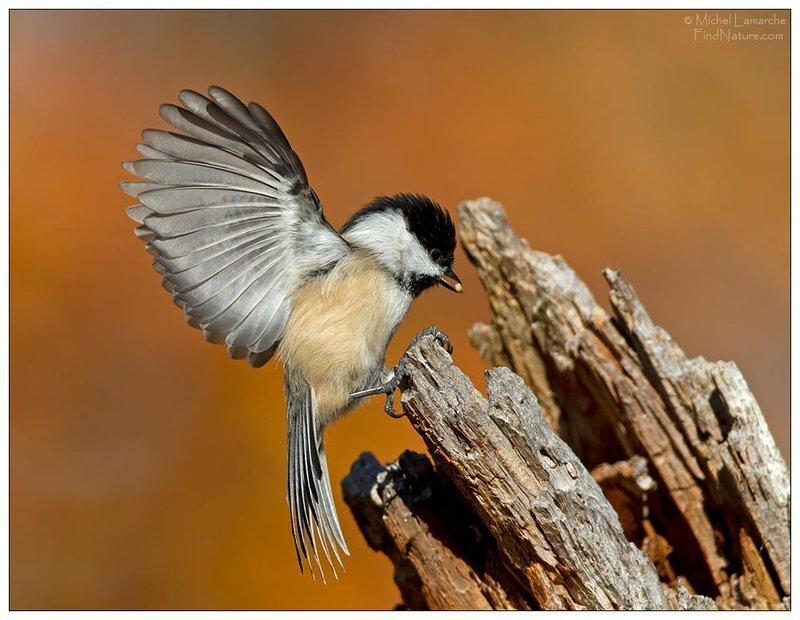 A recent research published in Animal Cognition, shows first evidence that a parid species (the black-capped chickadee, Poecile atricapillus) can remember the location of a single food item for at least 6 months (Roth, 2011). As Frans De Waal writes in his book ”The Age of Empathy”, just like human, some non-human animals seem to store favours in long-term memory. Another interesting aspect comes up when we look at the following example of long-term memory in relationship dynamics considering the re-integration of two elephants after 23 years. Equine cognitive science has began to investigate and show evidence of the presence of long-term memory also in horses (Hanggi, 2009). Also many stories and experiences narrated by horse people, seem to confirm that horses can recover stored information over a long-term period of latency. 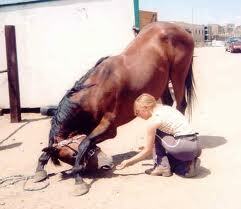 The difficulty in the study towards horses, is the impact human have on the life-conditions of a horse. 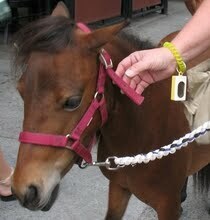 A horse which is trained to obey, will be less capable to access instruments useful for problem-solving (e.g. mental representations and memory capacities). We could imagine therefor that research for evidence regarding memory in horses is more complicated than for example in the Poecile atricapillus above. 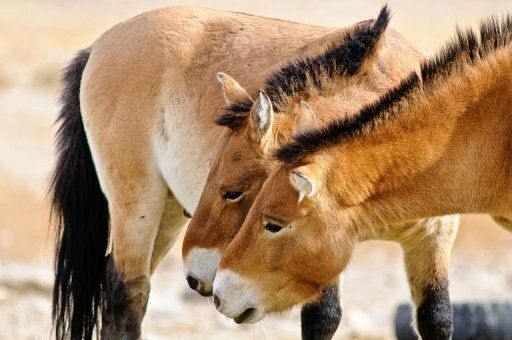 In a natural context, cognition of equine species (and memory with it) is a tool born from the evolution process (exactly like a leg, a stomach or a heart). 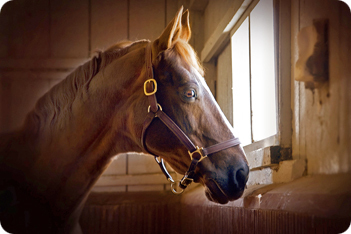 Long-term memory is an interesting topic in the horse-human relationship as well. As long as a horse has not become indifferent towards it’s surroundings (and unfortunately many horse do), the things that we do in the interaction with our horse are well remembered. This is something people should be more aware of, even in daily life routine. Horses can remember for a long time if their interaction with a person was based on a positive intention or not. Of course this doesn’t mean that we should expect sign of gratitude for every positive moment we share with a horse. The positive memory is not translated in obeying, but in trust for a horse that he is able to express himself in the relationship with you. It’s like a “mutual latent cooperation”. 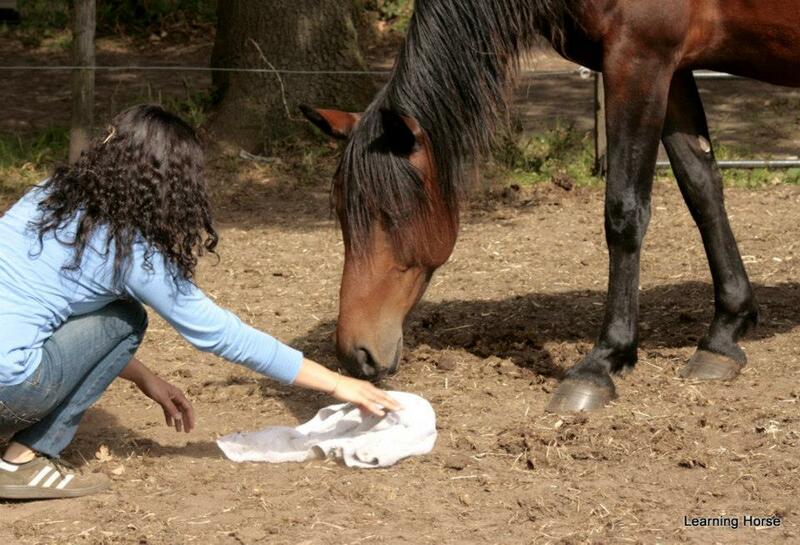 A kind of communication during horse-human interaction, that could be stored in a long-term memory way. 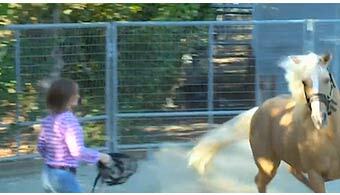 Working in a non-schematical way, giving to the horse the possibility to express spontaneus behaviours. Preserving the cognitive abilities in horses and creating experiences shared with a positive intention, makes it also possibile to cope together with a horse more difficult experiences. Dealing with an injury for example. It is not the action itself but the intention making the memory a significant one. Owners, but first of all scientists, trainers and vets should start to consider the cognitive capacities in horses and work in order to preserve them. Francesco De Giorgio is an Italian ethologist and applied behaviour researcher, currently living in the Netherlands and working both in Italy as in the Netherlands. He is Guest Lecturer regarding Equine Cognition in several universities and member at Dutch Society for Behavioural Biology (NVG), at Italian Society for Veterinary Physiology (SoFiVet) and at International Society for Applied Ethology (ISAE). His special field of research is applied social learning in horses. He is a scientist but also a practical man, having a band of eight horses together with his partner in life and work José Schoorl. 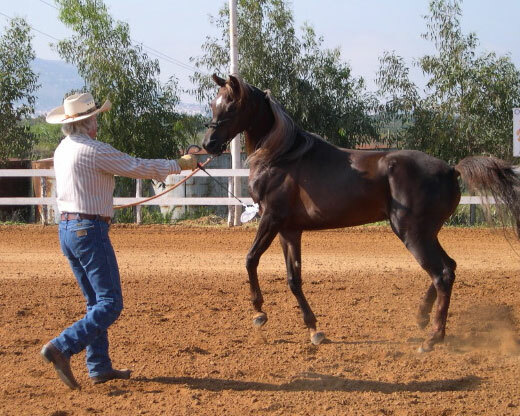 José Schoorl is a Dutch trainer in horse-human relationship, teaching and training people in the Netherlands, in Italy and in the UK, how to understand, how to live and how to improve the relationship with a horse from their own and from the horse’s point of view. For José understanding Equine Cognition is the first step in order to improve understanding of the horse’s behaviour and motivation. 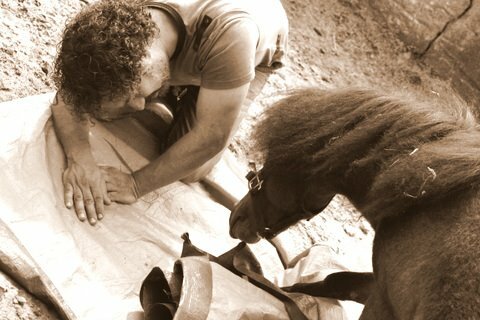 Francesco and José work every day with passion and determination to give the horse a voice as sentient being.